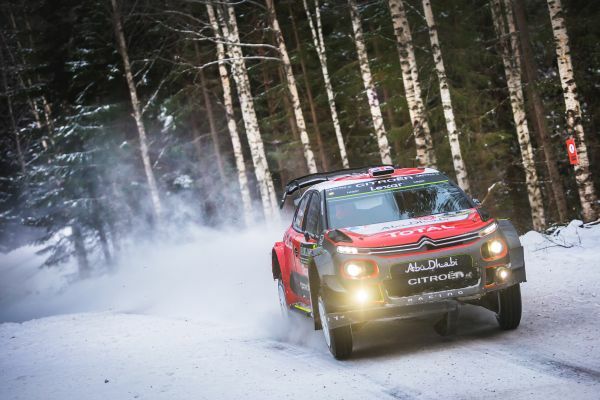 Craig Breen and Scott Martin finished fifth in their Citroën C3 WRC, meeting the target set for them at this year's Rally Sweden. Meanwhile, Kris Meeke and Paul Nagle put their first points on the board in finishing fourth in the Power Stage, whilst also ensuring both Citroën Total Abu Dhabi WRT cars scored points in the Manufacturers' championship. Last but not least, Stéphane Lefebvre and Gabin Moreau concluded a promising weekend in eighth place. 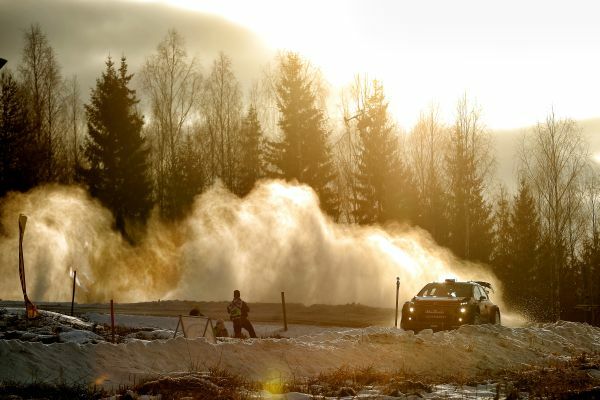 - The final leg of Rally Sweden resembled something of a sprint finish, with three stages covering less than 60km. After two runs on Likenäs, the event concluded with Torsby 2, also serving as the Power Stage. - After dragging themselves into the top 5 on day two, Craig Breen and Scott Martin's aim was to hold onto this position. They set about the job in hand by adopting a balanced approach, between going for speed and avoiding taking risks. - At the end of the Power Stage, Craig Breen could take some satisfaction from meeting the target set for him by the team before the start. Thanks to two fifth-place finishes in Monte-Carlo and here in Sweden, the Irishman stays in the same position in the Drivers' World Championship. - Out of the top 10 in the overall standings, Kris Meeke was aiming to end the rally on a high and finish in the top five on the Power Stage. The Northern Irishman showed his turn of speed to finish fourth, which saw him score his first points of the season. 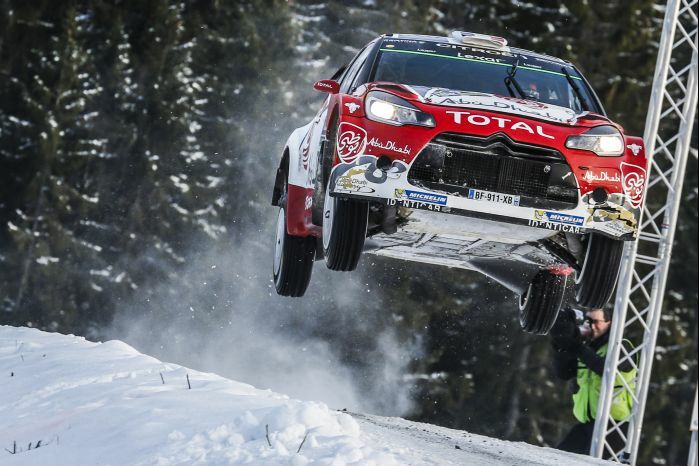 And by making it to the end of Rally Sweden, Kris Meeke and Paul Nagle ensured both of the Citroën Total Abu Dhabi WRT's C3 WRCs scored points for the Manufacturers' standings. - Meanwhile, Stéphane Lefebvre and Gabin Moreau ended a solid weekend in eighth position overall. Despite a bit of a moment at the start of SS16, the young Frenchmen were all smiles at the finish. In a previous generation car, Stéphane Lefebvre gathered some useful experience in only his second appearance at Rally Sweden. - At Rally Mexico (9-12 March), Citroën Total Abu Dhabi WRT will be entering two C3 WRCs for Kris Meeke/Paul Nagle and Stéphane Lefebvre/Gabin Moreau. "The good work of our young drivers is what we have to take away from this Rally Sweden. Given their respective level of experience, they more than met our expectations. Although they made some minor mistakes, they didn't let that prevent them from getting a good result at the end. We are all very aware of what we need to do to improve and be competitive. We are going to work even harder in preparation for the upcoming events." "I'm pleased to have made it to the finish and to score my first points for a factory team! It was a pretty cool weekend, even though we weren't always completely happy with our performance level. We have to move on. The Citroën C3 WRC has so much potential and I can't wait to be driving it again!" "We haven't finished were we wanted to be. We have a lot of work to do and we need to analyse all the information that we've collected so we can improve. After two winter events, we're now going to switch to gravel and so the next test session will obviously be very useful. It's hard for me to feel confident after two difficult rallies, but I'm not about to give in." "I feel like I really learned how to drive on snow this weekend. The first day gave me chance to get my bearings. Yesterday, I was at a disadvantage due to my road position but I still managed to improve before confirming my progress today. I think we did a lot of good work, especially on making the most of the tyres and managing tyre pressure. It was a very positive weekend for us, with some very useful information for us for the future."